Our Rosé is a dry wine made from Cabernet Sauvignon grapes. It is a pale ruby colored wine with nice aromas of cassis and tobacco, slight raspberry, and a hint of vegetal undertones. It is balanced on the palate with black cherry, a hint of tobacco, spice, and vanilla. 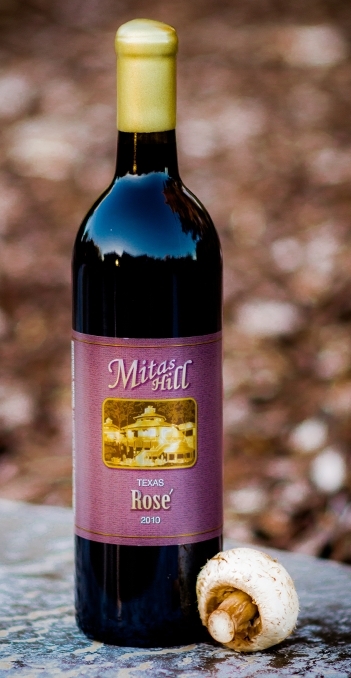 This wine is made rose’ style from Mitas Hill Cabernet Sauvignon grapes. Rose’ style means the wine is light in color and tannins. This is an easy drinking wine, and a good choice for summer if you are looking for the familiar taste of Cabernet Sauvignon without the heavy tannins. This wine was aged in French Oak barrels for 24 months. Originally intended for blending with our Tempranillo, this wine has done very well as a Rose’, and will be continued as a Rose’, as well as blended with our Tempranillo for the Bojnice wine. "Our Rosé is made from Cabernet Sauvignon as has become popular in our home country of Slovakia."